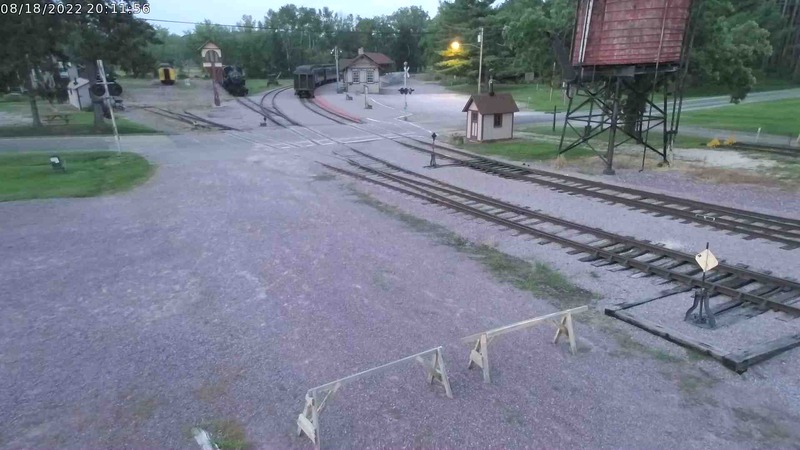 Come discover the nationally-renowned railroad museum in your own backyard! 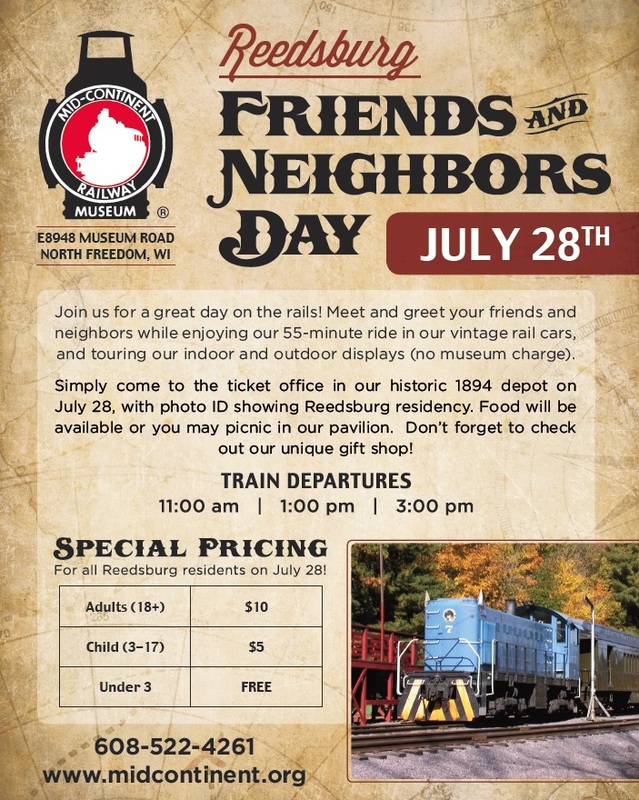 Mid-Continent Railway Museum appreciates the support of our nearby communities and want to thank you with discounted train rides during our FRIENDS & NEIGHBORS DAYS. 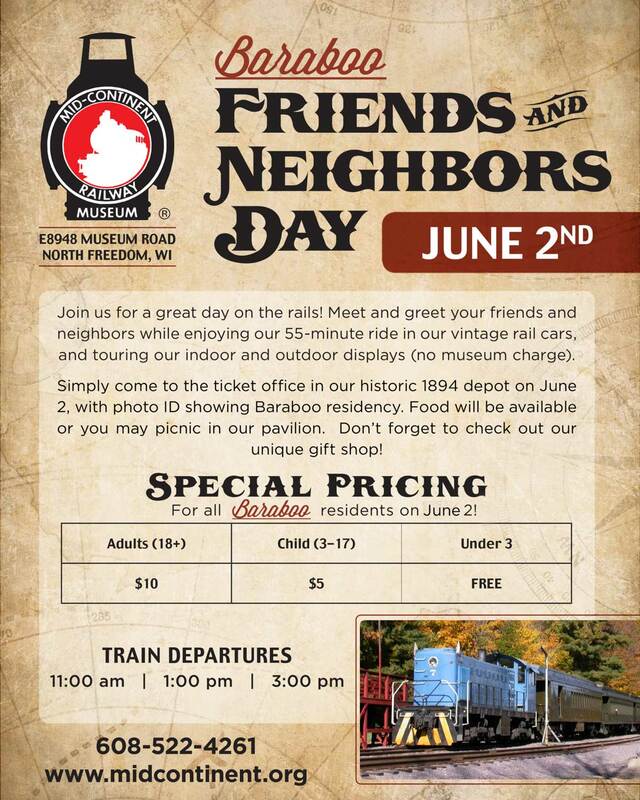 Residents of BARABOO, WI are invited to join us for a discounted train ride on JUNE 2, 2018 while residents living within the REEDSBURG, WI school district can enjoy discounted fares on JULY 28, 2018. Just show the ticket agent your ID with Baraboo or Reedsburg-area address on the appropriate day and receive special pricing: $10 for adults and $5 for children (ages 3-12). This is 50% off our regular fares. 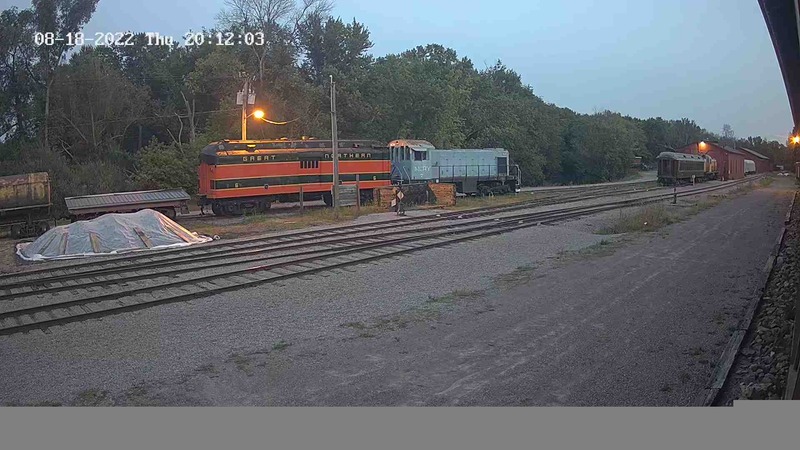 Train rides depart at 11 am, 1 pm and 3 pm. No reservations necessary. Coach Class only. Discount only valid on the appointed day.